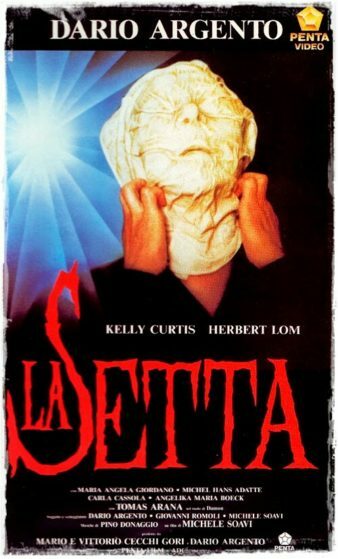 The Sect (aKa La Setta, The Devil’s Daughter, & Demons 4) is a 1991 Italian horror film co-written & directed by Michele Soavi (Dario Argento’s World of Horror, Stage Fright, The Church, & Cemetery Man). It was co-written & produced by Italian legend Dario Argento (Opera, The Bird with the Crystal Plumage, The Cat o’ Nine Tails, & Four Flies on Grey Velvet). Soavi started out as an actor in such films as Alien 2: On Earth, City of the Living Dead, A Blade in the Dark, & Demons. Soon after, he became an assistant/second unit director on Tenebrae, A Blade in the Dark, Blasfighter, Phenomena, Demons, & Opera. After their last collaboration The Church was a success, Soavi & Argento decided to team up again for The Sect. Soavi was destined for greatness in horror after striking gold from 1987 to 1994 in the genre with StageFright, The Church, Cemetery Man, & this all in a row. It’s still a mystery why he stopped out of no where when he had so much potential to be the next big horror director in Italy. It’s great to see his films get proper high definition treatment (Cemetery Man desperately needs a U.S. blu ray release). In the 80s & early 90s it was a popular trend to cast family members of the famous actors or actresses in a lower budget productions to draw more attention. Kelly, the older sister of Jamie Lee Curtis. Also the daughter of Tony Curtis & Janet Leigh was cast as the lead in this. It starts out in 1970 with a bunch of hippies partying & enjoying life near the water. They are greeted by a drifter named Damon (played by: Tomas Arana from “The Church”, “Body Puzzle”, “The Last Temptation of Christ”, & “Gladiator”). He says he’s been on the road for a long time & looking for help. They take him in & treat him as one of their own. Later that night, when everyone is asleep other strangers show up. Damon & his Manson-like cult murder the entire group. Damon goes to a vehicle to talk to his mysterious leader. He is told he needs wait for the orders that the cult has been waiting on & he says it could take years. It’s now present day 1991 in Germany. In a homage to “Psycho”, Marion Crane is introduced as a possible main character as she is followed by Martin Romero (played by: Giovanni Lombardo Radice from “The Church”. “StageFright”, “City of the Living Dead”, & “Cannibal Ferox”). He has the sudden urge to leave his family to pursue the young lady as she leaves town. He breaks in her place & kills the innocent victim. He is surrounded by strangers on the train & starts to get paranoid. A human heart falls out for everyone to see. He starts to chase the strangers down until police trap him. He tells them it’s not his fault & starts talking about some conspiracy. They don’t seem to believe him. He manages to get a hold of a gun & commits suicide. Something isn’t right, this normal family man wasn’t his self. An older man Moebius Kelly (played by: Herbert Lom from “The Dead Zone”, “The Phantom of the Opera”, “Asylum” & the Pink Panther films) nearly gets hit by Miriam Kreisl (played by: Kelly Curtis from “Trading Places”, “The Sentinel”, & “Magic Sticks”) when she’s driving towards him. She feels bad so she decides to let hm stay the night with her. When she’s asleep, Moebius comes in her room. He whispers some words which sound like some curse & puts a bug into her nose. She starts to have to nightmares. Miriam wakes up & finds Moebius in bad health. She leaves to find her doctor but she has to get someone else for help. Frank (played by: Michael Adams from “Vater, lieber Vater” & “Ameisenweg”) comes over to to see what’s going on. Apparently, he terrified of her pet Rabbit which happens to be one of the main characters in this. They find the old man dead in the basement covered in a white cloth almost like a mask. It’s almost like it became his skin as tight it was & it appears to have suffocated him. She goes back to her job as a teacher. One of her students draws a picture of a bug that instantly grabs her attention. Shes finds out it’s been extinct. They symbolize fertility & evil. She meets up with her friend Kathryn (played by: Mariangela Giordano from “Burial Ground”, “Satan’s Baby Doll”, “Patrick Still Lives”, & “Vampire Killer Barbys”). She’s helping her go through some things when the same white cloth as before latches on to her face real tight. She’s struggling, she can’t breathe & Miriam is able to take it off before she suffocates. Kathryn has the urge to go out & find a stranger. His friends go check on him & find him in a trance with no control. He claims she wanted him to do it. Miriam gets a voice recording from Moebius which makes no sense considering the last time she seen him he was dead. Frank joins her for an urgent visit to the hospital. Strange things start happening, is this real or illusion? They start to investigate into this weird situation. Later on, Miriam tries to play Frank the mysterious recording from before but nothing is there. He doesn’t believer her at all & tells her that Moebius is dead. Damon meets up with a familiar face from the hospital. The cult is now in Germany & finally going to carry out their long awaited plan. Frank spies on them performing weird rituals to bring back their master. The white cloth ends up on Frank & he becomes possessed like all the others. He chases down & tries to kill Miriam. It seems like everyone that gets close to her ends up cursed or worse. In the final confrontation, the cult is waiting for her at home. They explain she was the plan all along. They have been grooming & watching her all her life for this. She goes through a nightmare that won’t stop & it leaves you wanting more…. Is it reality or dreams? This visual nightmare with crafty camera work from cinematographer Raffaele Mertes (Trauma, Blood Delirium, & The Flight of the Innocent) & a haunting score from Pino Donaggio (Carrie, Piranha, Dressed to Kill, The Howling, Trauma, & many others) is truly bizarre. I haven’t seen too many movies like this, it stands out from the other films made during the early 90s. It was a common practice in the Italian film industry to rip off bigger American pictures & make their own version on a lower budget. Lots of those projects ended up being more fun & entertaining than it’s original influence. It’s no a secret or a big surprise that this heavy resembles Rosemary’s Baby with a touch of The Innocents. Honestly, I thought this was WAY better than Rosemary’s Baby. It had so much more going for it & I found it more interesting. This feature is full of chaotic moments that you won’t forget on screen. This was my first time experiencing The Sect so I can’t really compare it to any other previous version but the video quality looked good on this blu ray. The english dub & the score sounded great in my home system! Let’s talk about the special features for this disc. First, there’s an almost 30 minute interview with actor Tomas Arana. He discusses his experience working with Soavi on The Sect. He also talks a little about his previous collaboration with Soavi on The Church. He explains the difference between filming in Italy compared to America. It ends with him sharing stories about his work on Body Puzzle, The Last Temptation of Christ, Gladiator, & Intimacy. 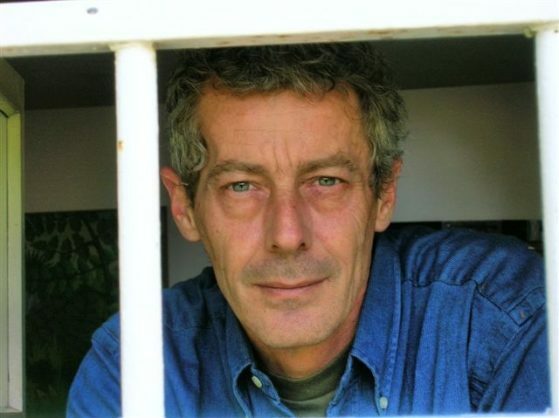 Next, there’s an 20 minute interview with co-writer/director Michele Soavi. He talks about his relationship with Dario Argento. He talks about him staying busy in the film industry & earning enough respect to get a chance with work with him. He discusses the production of The Sect where he reveals something I didn’t know about this film. He originally wanted Lisa Wilcox (A Nightmare on Elm Street 4/5) as the lead but she was pregnant at the time. Last but not least it includes multiple trailers for The Sect, The Church, Sleepless, Opera, Etoile, & The Card Player. I am a big fan of these smaller Italian films so it’s awesome to see Scorpion Releasing & Doppelganger Releasing teaming up to bring us quality releases in the United States! This blu ray will be available everywhere in the U.S. starting February 27th so make sure you show some support so we can get more Italian cinema in high definition. Also, look out for next two collaborations from Scorpion Releasing/Doppelganger Releasing Michele Soavi’s The Church & Alberto Negrin’s Enigma Rosso (Red Rings of Fear) coming soon!!! !